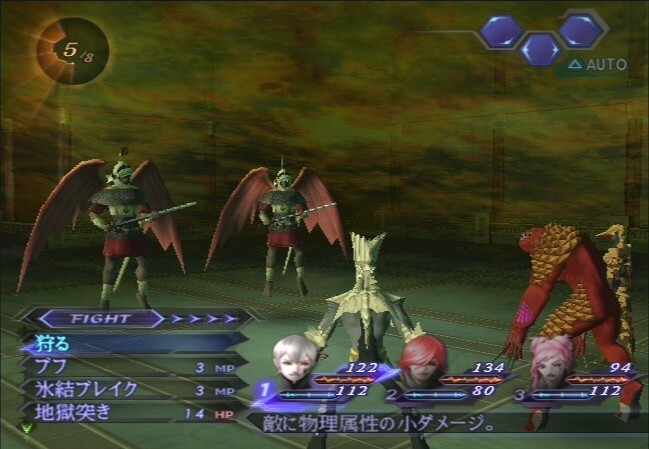 Are RPGs Like Shin Megami Tensei: Digital Devil Saga I and II Becoming Obsolete? There are countless things to say about the Digital Devil Saga games, and there are various opinions on these games concerning many aspects. Each of these different aspects of the games will be taken into consideration, and bring me to a very sad conclusion indeed; the reality that many of us RPG fans have been facing during this generation is a disappointing one. Amazing RPGS are very hard to come by, and we often have to fight and push for a North American release to even occur in the first place, as seen in the cases of both Xenoblade and The Last Story. Before I continue, I would like to warn everyone about potential spoilers found in this editorial. I would also warn everyone of my bias concerning gaming in general. I grew up with the PS1 and the PS2, which were both wonderful consoles to own as an RPG fan. The SNES and the N64 were both amazing as well, boasting titles such as Final Fantasy VI and Ogre Battle 64 respectively, among many more. It is impossible to take a look at current generation games on the Xbox360, PS3, and Wii without some ‘QQ’ and plenty of cursing. RPGs have become ridiculously rare; good ones even rarer still. Is anyone else becoming irritated with the same concept implemented in almost all RPGs? Random nobody from random village in random far off place suddenly finds himself/herself fighting to save the world randomly? There was never any actual reason as to why these people decide to save the world to begin with. I have to admit, this is not a recent phenomenon. Many old school RPGs also had these random people saving the world for no apparent reason at all, and it seems this trend continues. Is there really nothing else that can be used as the beginning plot point? It is just one of those games that throws you into a situation and it does not explain anything at all until much later. Once you reach that ‘later’ point, you suddenly go, “Eureka!” These games that make us anticipate and think ahead of what is being portrayed is what makes RPGs so memorable. You cannot possibly predict what will happen within this saga. Almost everything is a surprise, which is very rare in not only RPGs, but in games in general these days. We are all used to the cliché and stereotypical cast of characters, where you have the clown, the serious one, the morally righteous hero, and the irritatingly weak love interest. 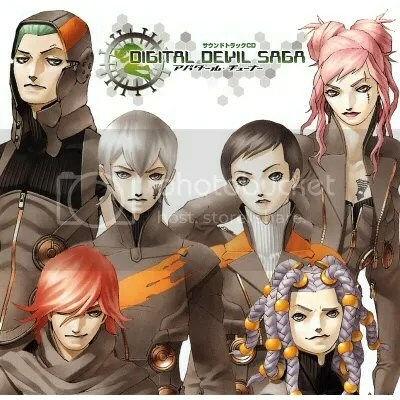 Digital Devil Saga does not by any means stray too far away from the stereotypical character model, but it does go further and develop these characters. You not only see them grow from mindless drones, but you also slowly understand why they are the way they are and what made them this way. Games in general need to take a very good look into how novels driven by characters are written, and what makes those characters so well fleshed out that we are drawn to them. A book that is a must for game developers should be The Name of The Wind, in which not a whole lot is happening plot wise, but the characters themselves are what keeps our eyes glued to the pages. We need to care about what happens to these characters to continue playing. DDS does that so well, it is almost baffling. How is it that these drones I call my party captivate my interest? The answer is simple. They are not truly drones at all, and as you further progress in the story, the more humanity you glimpse from the characters and the more you desire to learn more. Interest is what captures our attention long enough for the developers to start working on making us care about these characters and their plight. There is a fine balance between these two things that must be in place for an RPG to shine. Digital Devil Saga is a perfect example. Does that mean that the characters are perfect? Hardly. Opinion will always shine through and be the deciding factor. But for me, these characters were just so well fleshed out by the end of the saga that I couldn’t help but really care about what happened to each one. As I saw them slowly die and leave my party, I felt angry! How dare they kill off my characters! How dare they take away my favourite party members?! THAT is what I believe also lacks in terms of RPGs these days, this emotional connection between the player and the characters.